Since its announcement in 2013, the Belt and Road Initiative (BRI), also known as the New Silk Road, has gradually gained international recognition. The ‘New Silk Road’ project has a potential to transform the global flows of trade and investment. It is increasingly recognized that tax has the potential to be a barrier in achieving these goals. The project requires not only extensive investment in infrastructure and transportation but also an acceleration of the internationalization of multinationals and supply chains in Belt and Road countries. The BRI marks a national push by China to increase economic links to Southeast Asia, Central Asia, Russia, the Baltic region (Central and Eastern Europe), Africa and Latin America, which will have major consequences for the way that tax systems interact. The New Silk Road: Will Tax Be a Facilitator or a Barrier? Creating a Positive Tax Climate for Complex Multijurisdictional Investment Projects. 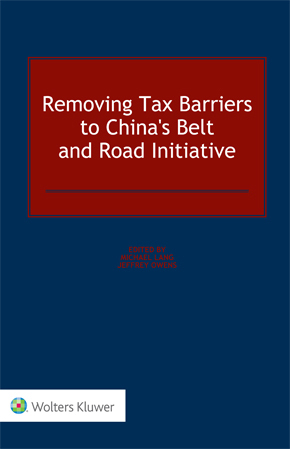 Outcomes presented in the book consist of findings presented during Tax Policy Forum on the Belt and Road Initiative held on 12–13 June 2017 in Beijing, jointly organized with Peking University Tax Law Center and the Central University of Finance and Economics, Beijing. The analysis draws upon the expertise of representatives of European and Chinese Universities, which have been working together on these issues. This book will provide policymakers and businesses with a guide on how to deal with those tax issues. It would also facilitate international dialogue that is being currently undertaken. The Belt and Road Initiative: Will Tax Be a Facilitator or a Barrier?